Buy the best pair of gold led usb shoes for kids low top greatest prices guaranteed. Our own light up led shoes are 100% rain proof and glow in tons of colors. 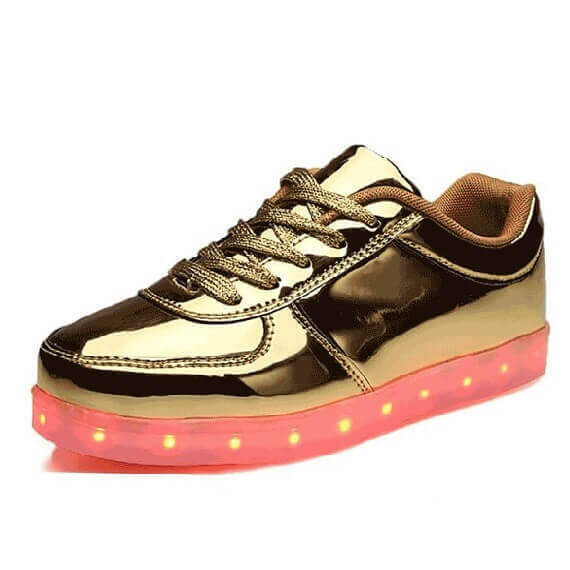 Shifting the colors of the light up shoes is very quickly and uncomplicated with pretty much the press of a button that is positioned inside the shoes. You have lots of possibilities to choose the colors of the shoes that light up at the bottom. 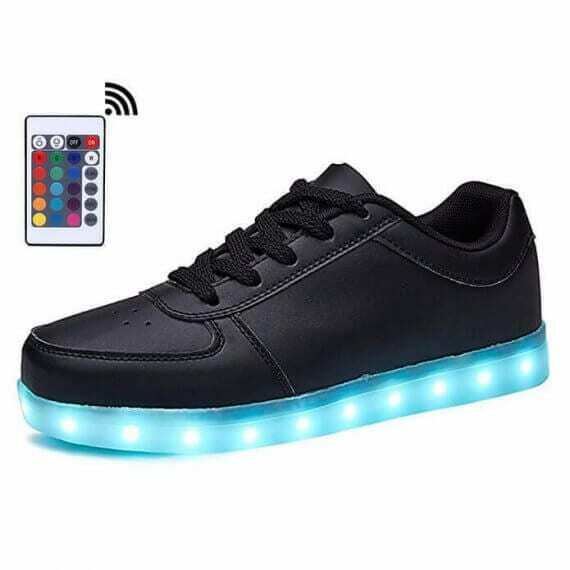 The use of a button to be found on the inside the light up shoes on sale you can determine the multiple settings to flash a solid color or multi color light design and style. 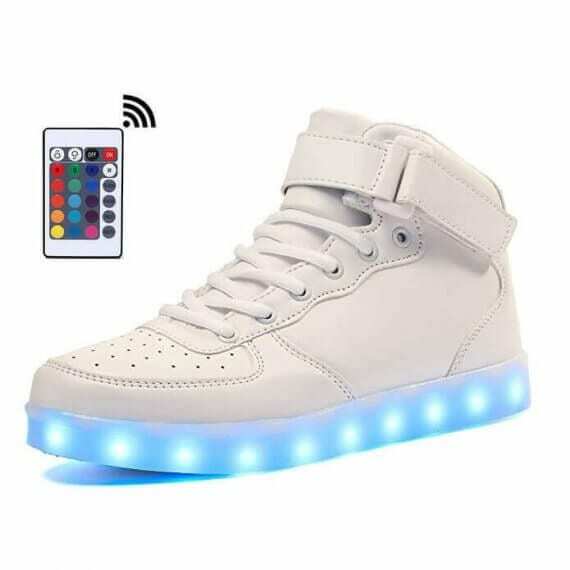 The sneakers led lights are easily managed via a smart phone app if you prefer to update. 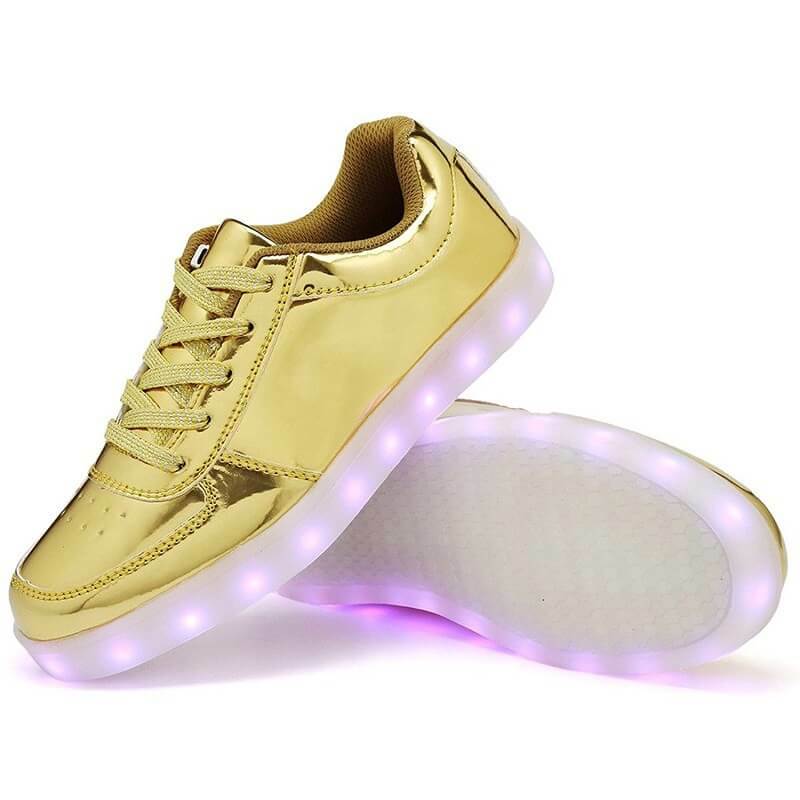 Every single one pair of led light up sneakers features a USB cable for plain and simple and handy battery charge that carry on 9 hours. 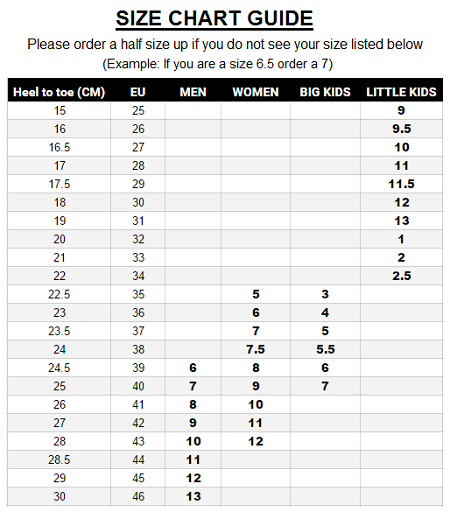 Many are wanting to know where can I purchase light up soles to wear for the next get together, festivals, gigs, and dance events. 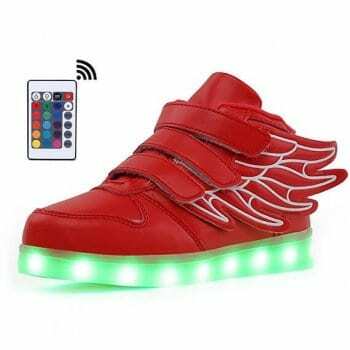 Kids light up shoes make a great prize for your loved ones. They won’t ruin in the heavy rain and are harmless to put on for any opportunity. 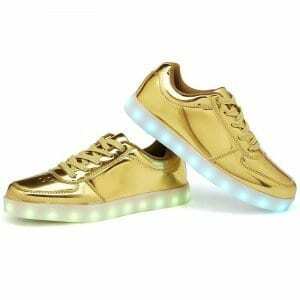 These trainers light up soles for boys and girls are very widespread among men and woman. 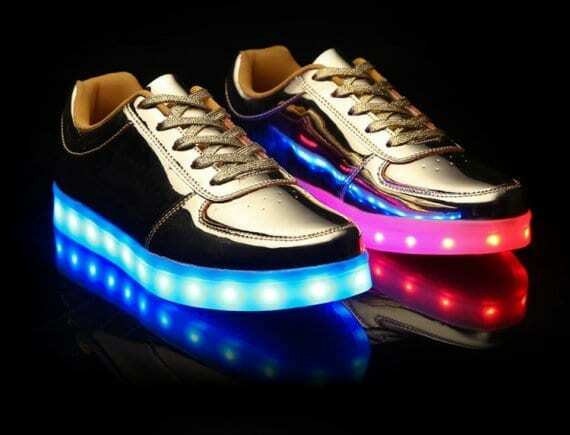 Comfortable insoles and flexibility make these cool light up sole trainers. 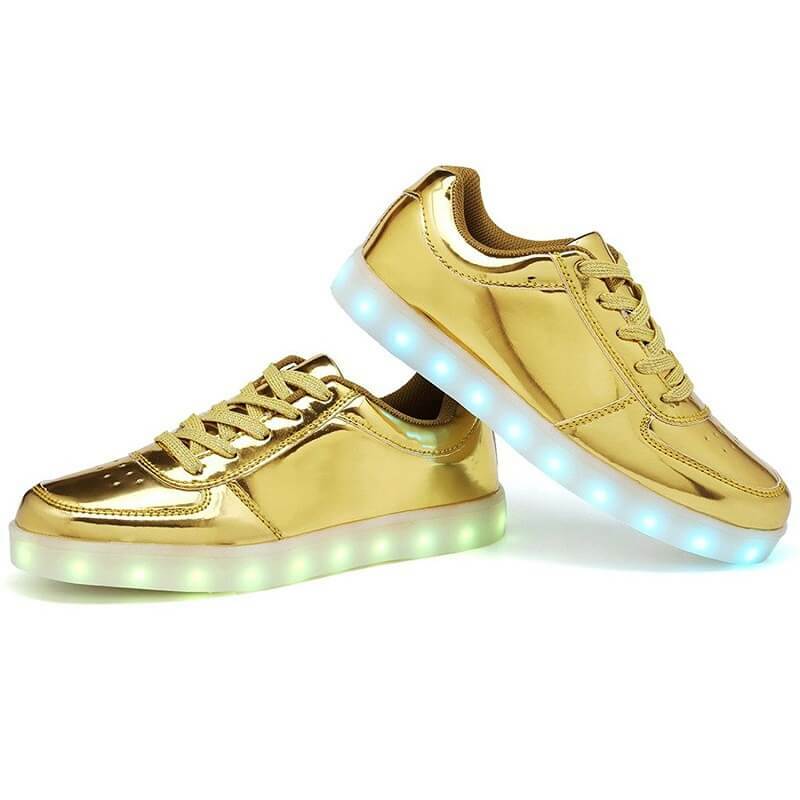 Expect to have focus and praises because these light up sneakers are absolutely to be a hit where ever you use them. 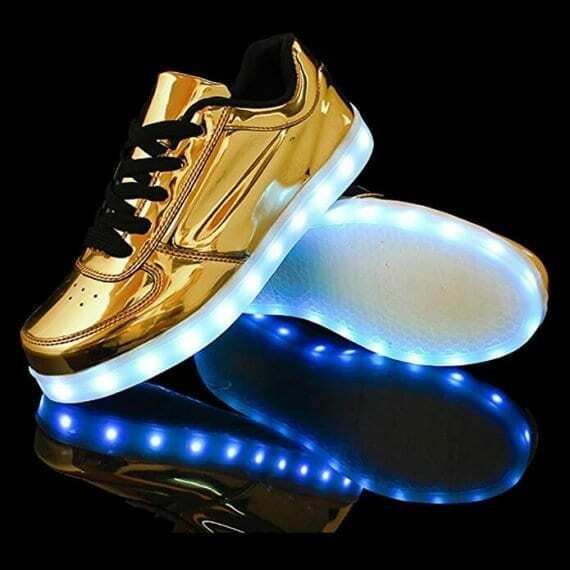 So snap up a pair of new shoes with lights as soon as you can and be the jealousy of your pals in addition to all of your brand-new fans!